The 34 companies include Cisco, HP, Oracle, VMware, Dell, CA Technologies, Symantec, Bitdefender, F-Secure, RSA and Trend Micro, among others. Top 34 global technology and securities firms, led by Microsoft and Facebook, have signed a "Cybersecurity Tech Accord" to defend people from malicious attacks by cybercriminals and nation-states. The watershed agreement will prevent them help governments launch cyber attacks against innocent citizens and enterprises. It will also protect against tampering or exploitation of their products and services through every stage of technology development, design and distribution. The 34 companies include Cisco, HP, Nokia, Oracle, VMware, Dell, CA Technologies, Symantec, Bitdefender, F-Secure, RSA and Trend Micro, among others. "The devastating attacks from the past year demonstrate that cybersecurity is not just about what any single company can do but also about what we can all do together," Microsoft President Brad Smith said in a statement on Tuesday. The "Cybersecurity Tech Accord" is a public commitment among 34 global companies to protect and empower civilians online and to improve the security, stability and resilience of cyberspace. "This tech sector accord will help us take a principled path towards more effective steps to work together and defend customers around the world," added Smith who has been arguing for a "digital Geneva Convention" for years. The companies made commitments in four areas -- stronger defence, no offence, capacity building and collective action. "The companies will do more to empower developers and the people and businesses that use their technology, helping them improve their capacity for protecting themselves," said cybertechaccord.org. This may include joint work on new security practices and new features the companies can deploy in their individual products and services. The Tech Accord remains open to consideration of new private sector signatories, large or small and regardless of sector, who are trusted, have high cybersecurity standards and will adhere unreservedly to the Accord's principles. "The real world consequences of cyber threats have been repeatedly proven. As an industry, we must band together to fight cybercriminals and stop future attacks from causing even more damage," said Kevin Simzer, Chief Operating Officer, Trend Micro. The victims of cyberattacks are businesses and organisations of all sizes, with economic losses expected to reach $8 trillion by 2022. 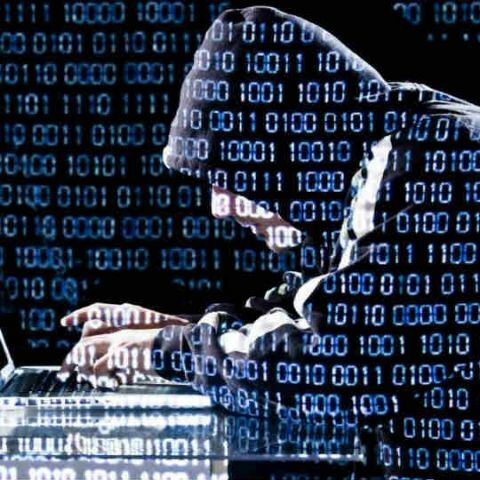 The cyber attacks in the past have caused small businesses to shutter their doors, hospitals to delay surgeries and governments to halt services, among other disruptions and safety risks. "The Tech Accord will help to protect the integrity of the one trillion connected devices we expect to see deployed within the next 20 years," said Carolyn Herzog, General Counsel, Arm. On Monday, Cyber security representatives from the US and Britain warned of Russian state-sponsored cyber-attacks that are targeting network infrastructure devices such as routers and firewalls, to compromise government and private sectors globally. According to a US Computer Emergency Response Team (US-CERT), the Technical Alert provided information on the worldwide cyber exploitation by Russian state-sponsored cyber actors.